Reality TV star and cosmetics entrepreneur Kylie Jenner has no idea what she would do without social media. 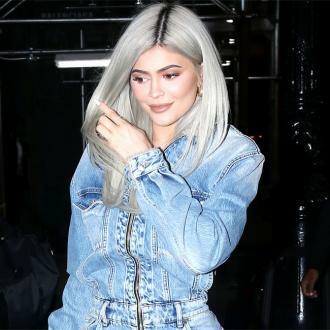 The Keeping Up with the Kardashians beauty has amassed 86 million followers on Instagram and nearly 20 million on Twitter, and the 19-year-old half-sister of Kim Kardashian credits the success of her Kylie Cosmetics products to her online presence. "Social media is everything to me," she tells Violet Grey. "It can also be a negative space for celebrities. But what would we do without it?" 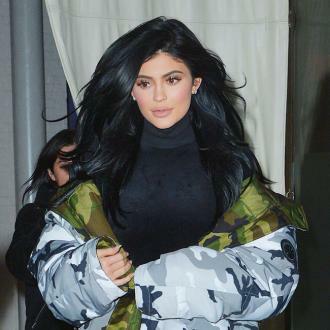 Kylie launched her famous Lip Kits in 2015 and her business has proved to be a major success, but she didn't know what to expect while starting out, and at the beginning, she relied heavily on her manager mother Kris Jenner's business advice. "I just had the trademark for so long, but I didn't know where to start," she shares. "What factory, who to go with; I just didn't know anything. My mum really helped me with that. She drove all over Los Angeles to all of these factories looking for the perfect one." With Kris' help, Kylie's business exploded almost instantly. "I called my mum freaking out and saying, 'Oh my God, Mum, this is too much, are people gonna buy it? This is crazy! '," the teenager recalls of her wild emotions the day she released her first Lip Kit. "And then it sold out in, I think literally under a second... I refreshed the (web) page and everything was gone." Kylie has always loved make-up, so venturing into cosmetics as a career was a no-brainer for her. "I always knew I wanted to create my own lipstick," she explains. "I said, 'We need to trademark Kylie Lip Kit' - that was what I wanted to call it. "I was obsessed with lips in general, and with making my lips bigger before I got them injected." Sculpting her lips on her personal time made Kylie aware of what was missing from the make-up market: "Usually, when girls do their lipstick, they use a lip liner and a lipstick, and they never have a match. So I just created a perfect match, because that's what I've always wanted."